"In the past 27 years, China has achieved remarkable success and progress in the construction of its economy. 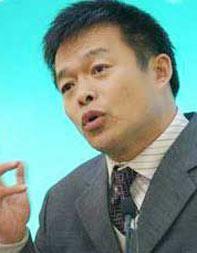 However, very few people are aware that China's development in the area of national defense has lagged behind its economic growth significantly, resulting in the emergence of an uncoordinated development between its national defense and its economy," said Hu Angang, a renowned expert in national scenarios in China and a professor from Tsing Hua University, expressing his worries regarding the situation. The basic national scenario for China is that it has a large population and a vast territory, with a 9.6-million-square-kilometer land area and a 3-million-square-kilometer ocean area. It borders over ten countries and its borderline extends to tens of thousands of kilometers, while its coastline is 18,000 km in length. If China wants to meet the minimum requirement of national defense construction and national security, it should spend at least two to three percentage points of its GDP on national defense. From 1992 to 2002, China's expenditure on national defense only took up 1.6 to 1.62 percentage points of its GDP. Among the seven big countries with over 3 million square kilometers of land area in the world, China's expense on national defense is considered relatively low. In the interview with Hu Angang, he indicated that China's national defense will be greatly reinforced and its goal of strengthening military power with science and technology will be realized, if China can gradually increase its proportion of GDP spending on national defense to a reasonable and appropriate rate. China can increase its proportion of GDP spending on national defense in two steps: first, raise the current ratio from 1.6 to 2% and second, make it reach 2.5%. As far as China is concerned, such a ratio would be basically appropriate but it would be regarded as moderate or low based on an international standard. This economist said that China's economy has maintained rapid growth since 1996, and its proportion of fiscal revenue as well as total government revenue in relation to its GDP has clearly gone up. He added that China possesses the conditions and is now capable of offering necessary and timely compensation to the army for its contribution in the past 20 years to protect the overall situation of national economy construction. It is necessary and possible for China to spend more on national defense to fortify national defense construction and accelerate modernization of its national defense. This is not only in tune with China's core national interests but also a boost to economic growth.